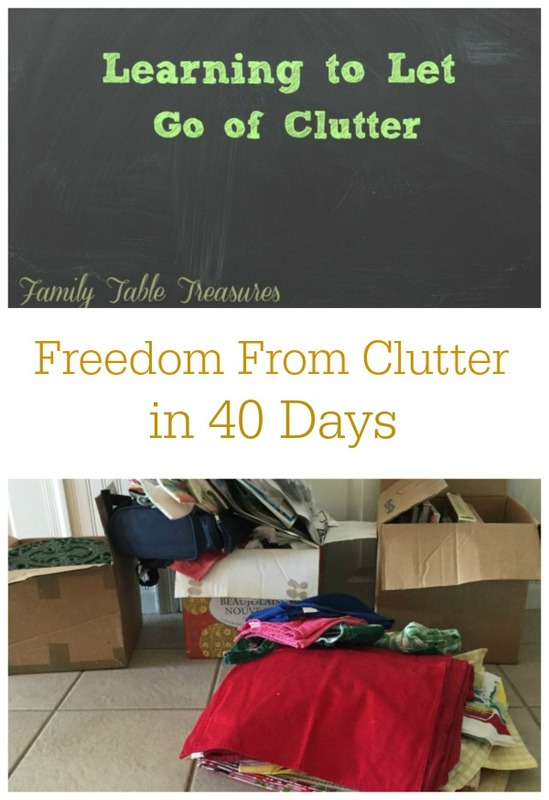 Welcome back to Day 10 of the Freedom from Clutter in 40 Days series. If you are tired of the burden of clutter then this series is for you. Day by day we are getting rid of the items that weigh us down, slow us down, and get in the way of having time to spend with our families. Today, I am bringing in one of my special friends to share how she is working on the clutter in her home. What is really fun about this project is that we are sharing our real struggles with clutter. There are no organization experts here. We are just real people sharing our real life experiences with our frustrations and joy as we declutter our homes. 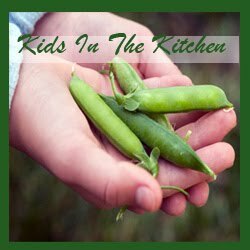 We invite you to join our special Facebook group to share your ideas, joys, concerns, and declutter stories with us. Together, we are learning to find Freedom from Clutter. Just click on the link, click on join, and we will get you approved. This is a focused 40 day program, but we plan to keep the group going all year long. You can join at any time. We can’t wait to talk to you over there. As promised, Nicole from Family Table Treasures is back to update us with her progress decluttering her home. 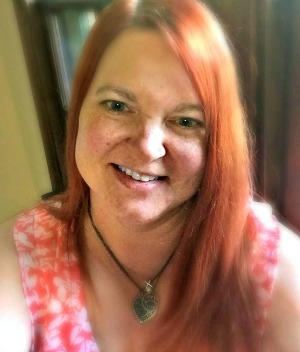 She talks about how she is starting to feel the freedom that comes from decluttering her home and some of ways she is learning to let go of the clutter. It’s not easy when we are attached to our belongings, but when we rethink things a bit, it becomes easier. Head over to Family Table Treasures to read “Learning to Let Go of Clutter“ . Make sure to leave a comment for Nicole and let her know how your decluttering is going. We are all stronger if we work together to create change for our families. We can’t wait to hear from you!